To date we have authored over 2500 discs, with clients including the BBC, Clarks, Manchester City FC and Reebok. When it comes to your project, we can help you determine the best solution for you, whether that’s a simple auto-play DVD, a multi-menu Blu-ray or an interactive CD-ROM. A Mint authored DVD/Blu-ray can feature motion menus, along with multiple language settings and be equipped with a subtitles function. We can also create BDCMF image files, essential for Blu-ray replication. Our in-house design team can produce menu artwork based on your existing designs or corporate identity. Alternatively, we can create new artwork for you, exclusively for your project. To date we have authored over 2500 discs, with clients including the BBC, Clarks, and the NHS. When it comes to your project, we can help you determine the best solution for you, whether that’s a simple auto-play DVD, a multi-menu Blu-ray or an interactive CD-ROM. A Mint authored DVD/Blu-ray can feature motion menus, along with multiple language settings and be equipped with a subtitles function. We can also create BDCMF image files, essential for Blu-ray replication. Our in-house design team can produce menu artwork based on your existing designs or corporate identity. Alternatively, we can create new artwork for you, exclusively for your project. 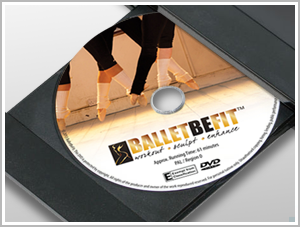 A Single-layer DVD can hold 1 hour of video, with a Dual-layer holding a maximum of 2 hours. We can author simple auto-play DVDs (with or without a looped function) through to complex multi-menu discs with subtitles and animated menus. CD-ROMs are an affordable option when you need simple interactive content in a universal format. Using Flash software, we can also incorporate menus, video and documents into the project. A single-layer Blu-ray can hold 135 minutes of HD video, with a Dual-layer holding a maximum of 3 hours. We author simple auto-play Blu-rays (with or without a looped function) through to complex multi-menu discs with subtitles and animated menus. We can author simple auto-play DVDs (with or without a looped function) through to complex multi-menu discs with subtitles and animated menus. Using Flash software, we can incorporate menus, video and documents into your CD-ROM project. We author simple auto-play Blu-rays (with or without a looped function) through to complex multi-menu discs with subtitles and animated menus. Source material can be provided in any digital format (mov, avi, Mpeg, H.264) and uploaded via WeTransfer, Hightail or Dropbox. We also have an FTP site (contact us for login details). Tape formats such as HDV, Digital Betacam, BetaSP, DVCAM and Mini DV are also acceptable, as are FCP, AVID and Premiere projects and files. BDCMF image files are essential if you plan to replicate Blu-ray discs at a manufacturing facility. We can create these image files for you – at a competitive rate – as part of our full authoring service. Alternatively, you can provide us with a completed disc image (ISO) or build folders (BDMV and Certificate) which we will convert to BDCMF. (Please note that ISO is our preferred format to work with as it contains crucial layout information). Contact us for details.